The Honorable Anne E. Lazarus is running in the May, 2007 primary to be a Democratic candidate for Pennsylvania Superior Court Judge in the November, 2007 election. She currently is a judge on the Philadelphia Court of Common Pleas, Orphans Court Division. 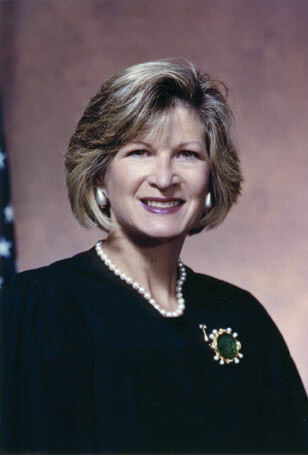 She was first appointed and then elected to that court in 1991, and was elected to a second ten-year term in 2001. She was the first Chancellor of the Louis D. Brandeis Law Society, a society for Jewish lawyers and judges, and is on the Board of Volunteers for the Indigent, who provide pro bono legal services to people who could not otherwise afford them. She is also Chair of the State Conference of Trial Judges Ethics Committee. PJV: How was the transition from practicing attorney to judge? It’s a very difficult transition, I think, because you’ve been trained for so many years - and I was an attorney for 15 years before I ran - to be an advocate and state only one point of view and advocate for one position. And as a judge you have to sit back and not be an advocate and listen to both sides and try to apply the facts as you find them to the law as you understand it, to the best of your ability, and that’s a very different role. PJV: You are running for Judge of the Superior Court. Please give us some background on what this means, how it will differ from your current position, and why you feel you are qualified to assume that position. Superior Court is the state’s intermediate appellate (appeals) court. For 95% of cases the Superior Court is the court of last resort. The highest court, the Supreme Court, doesn’t hear every case; they pick the cases that they want to hear, based upon what is going on, whether they want to make new law or clarify law. The intermediate appellate court, which is where I’ll be sitting, is the court that will review what the trial court has done, make sure that the law that it applied to the facts is the right law. It won’t review the facts, because the facts are determined by the trial court or the jury that hears the case, but it will make sure that the correct law was applied. I believe that I’m uniquely qualified to do that because having been a judge for sixteen years I have a very good idea of what trial judges are supposed to do and what they’re not supposed to do, so if I read what happened by trial judges I will have a very good idea of whether the trial was performed correctly. PJV: Does the Superior Court have an impact on issues such as the environment, a woman’s right to choose, who can legally marry, etc." They would not in the first instance. Most of those challenges would go to trial court initially or directly to the Supreme Court. But the Superior court would take a look at the cases and determine whether or not laws that actually exist were followed or whether a trial court was creating law that they had or did not have a right to do. PJV: President Bush has publicly complained about ‘activist judges’ who, in effect legislate changes in society without consent of the legislative branch. How do you see this issue? I understand what the President is saying. I think that judges are uniquely qualified and responsible for making sure that laws are applied fairly and equally and that citizens have equal access to justice and are treated equally before the law. Generally when I have heard judges being called activists it’s because someone who has asserted a right doesn’t like the fact that somebody else is asking the courts to prevail in not letting one side be bullied. I don’t think that’s being an activist judge. The term is being used in a pejorative sense but I think the majority of judges that I know are there to uphold the constitution and that means that everybody has equal access and equal rights under the law. PJV: As a Superior Court judge you may have to give rulings on issues that are very divisive in this state and for which you may have strong personal feelings: issues such as abortion rights, stem cell research, prayer in public schools, and the death penalty. How do you resolve the times when you must give a ruling on an issue that may be emotionally charged for you? When you become a judge you swear an oath to defend the constitution. One of the things that you’re swearing an oath to do is to obey the law of this Commonwealth. I may not agree with every law that is passed; I doubt that anyone agrees with all laws. But I am sworn to uphold the laws. So what I do in my mind is make sure that whatever that law is, is applied fairly, equally and appropriately and make sure it is the correct law to be applied to the correct case. It is not for me as a judge to determine what the law is. In that sense that is the legislature’s responsibility, the difference between the legislative and judicial branches. What I advocate to people all the time is if you want the laws changed, you deal with the legislature and change them. PJV: You helped to form the Louis D. Brandeis Society. Can you tell us about that group? PJV: What is the place of religion in society and how has that been changing vis a vis the judiciary in recent years? It’s very interesting…I was reading the novel 1776 recently and they talk about the place that religion has in society. The forefathers, as I understand it, were observant, not necessarily to a particular faith, but to a belief in "God and an order in society" and they lived their lives a certain way. What they didn’t want was for the government to sanction any individual religion to be the overreaching or overriding religion. That’s what they wanted to do away with and that’s why they put the words they put in the Constitution. I think faith is very important to people. I think that people need religion, they want to have faith, and people do very well having a system of belief that enables them to live courteously with one another. I don’t think that our courts or our government need to have that in terms of establishment. Individual people who are members of government certainly can be men and women of faith without it being detrimental at all. PJV: On a more abstract level, Talmudic scholarship is often portrayed as a prototype for some of our current legal systems, as based on texts within the Torah. How do you see this? In my office I have a large piece that was made for me when I went on the bench that is the quote from the Torah in Leviticus that says "You shall not judge the rich differently than the poor, or the mighty differently than the weak." I think that that is something that I have internalized as a person and as a member of the Bench. And what that means to me is you judge people fairly; you try not to be influenced by a particular person’s prestige or place in the community, either positively or negatively; and you try to be the fairest and most impartial judge that you can be - particularly when you’re being a trier of fact.